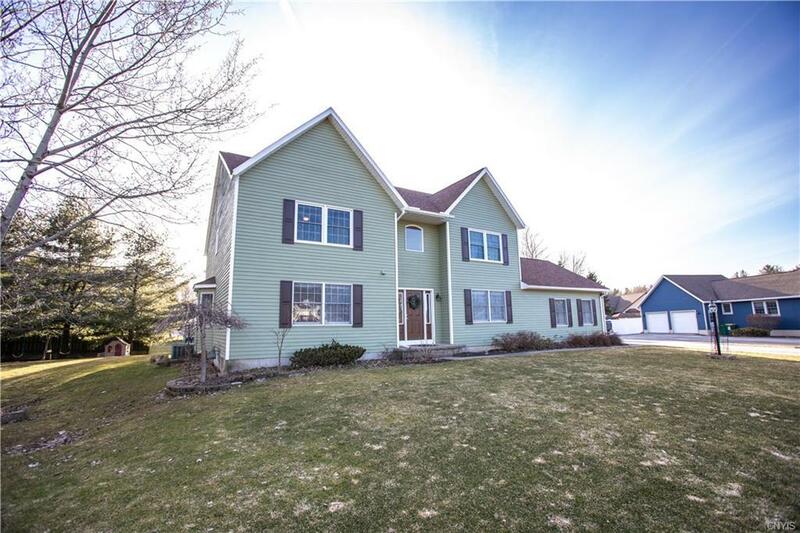 Beautiful South Woods colonial with tons of open space and natural light! This home includes an updated kitchen with hickory cabinets and granite countertops. As you enter the dining room you will see that this space was meant to accommodate the "whole" family, so you can easily host events. The bedrooms have plenty of room to work with and the master comes complete with an en suite that has a shower and jacuzzi tub. Other conveniences you will find are first floor laundry, a first floor study/office, central air, and a back deck that goes out to a partly fenced in yard. The roof was replaced only 2 years ago, so mark that off the big ticket items that will make this one of the most desirable homes on the market. Make sure to schedule this one soon, so you can be moved in by summer!